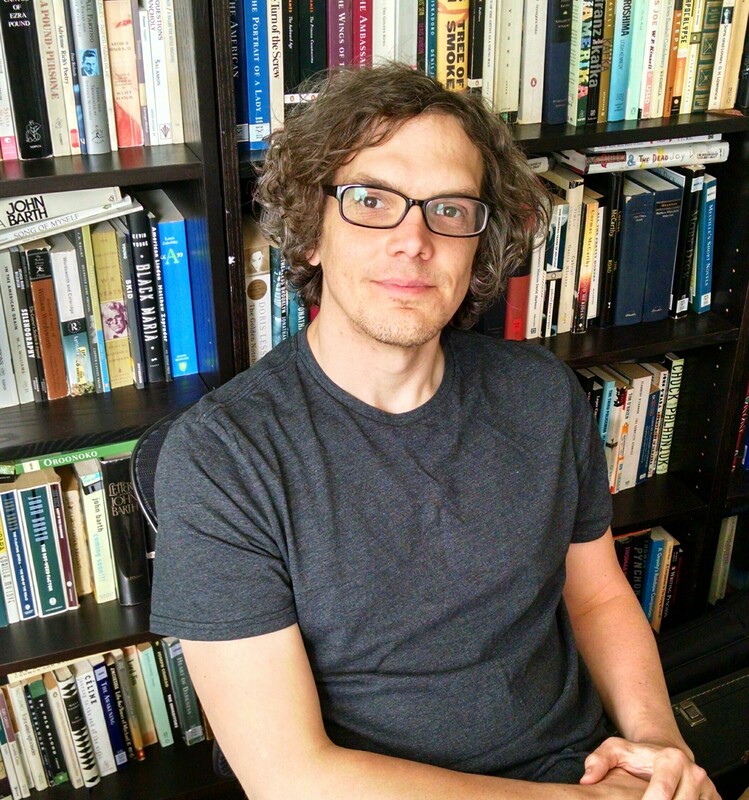 Bradley J. Fest is assistant professor of English at Hartwick College, where he teaches creative writing, poetry, and twentieth- and twenty-first-century United States literature and culture. He is the author of two volumes of poetry, The Rocking Chair (Blue Sketch, 2015) and The Shape of Things (Salò, 2017), and a chapbook-length portfolio/excerpt from The Shape of Things was a finalist for the 2015 Tomaž Šalamun Prize and was recently published in Verse (a preview here). Other poems have appeared or are forthcoming in Adjacent Pineapple, The After Happy Hour Review, The Airgonaut, amberflora, BathHouse, Breakwater Review, Empty Mirror, Epigraph, Flywheel, Grain, HVTN, Likely Red, Mannequin Haus, Masque & Spectacle, Nerve Cowboy, PELT, PLINTH, The Offbeat, Open Thread, Small Po[r]tions, Spork (also here and here), Sugar House Review, Tenebrae: A Journal of Poetics, The 2River View, TXTOBJX, and elsewhere. Fest’s critical and scholarly writing on contemporary literature and culture has appeared in boundary 2 (also interviews here and here), The b2o Review (also here), CounterText, Critical Quarterly, Critique: Studies in Contemporary Fiction, First Person Scholar, Studies in the Novel, and Wide Screen; essays have also been published in the collections David Foster Wallace and “The Long Thing”: New Essays on the Novels (Bloomsbury, 2014), Scale in Literature and Culture (Palgrave Macmillan, 2017), and The Silence of Fallout: Nuclear Criticism in a Post-Cold War World (Cambridge Scholars, 2013). His 2014 interview with J. Hillis Miller has been reprinted in Reading Inside Out: Interviews and Conversations (Sussex Academic Press, 2017), and a short collaborative piece will appear in Joseph A. Dane’s Begging the Question: Chauceriana, Book History, and Humanistic Inquiry (Mythodologies II) (Marymount Institute Press, forthcoming 2019). Further information regarding his articles, presentations, and teaching materials can be found on his academia.edu page. Bradley J. Fest’s curriculum vitae.